The Florida Aquarium is among the top 10 aquariums in North America, and among the top 5 kid friendly aquariums in the United States. Located in the Channel District of Downtown Tampa, technically in Clearwater Beach, this world-class facility works to entertain, educate, and inspire stewardship about our natural environment. Created in 1995, and visited by over one million guests, this 25,000 square foot facility also serves to "protect and restore our blue planet." Inside this facility, you will experience a sea of excitement, from the opportunity to catch a ride next to their 500 wild dolphins to the splash zone of the outdoor water park! During a tour of this facility, your group will see over 20,000 sea creatures, including alligators, dolphins, otters, lemurs, chameleons, stingrays, sand tiger sharks, and even cockroaches! The exhibits range from Florida’s freshwater springs to the open waters of the Gulf of Mexico, including such habitats as wetlands, beach, and coral reef. Check out the No Bone Zone invertebrate touch tank exhibit, where you can touch horseshoe crabs, or head over to the Sea Hunt or Madagascar themed areas. 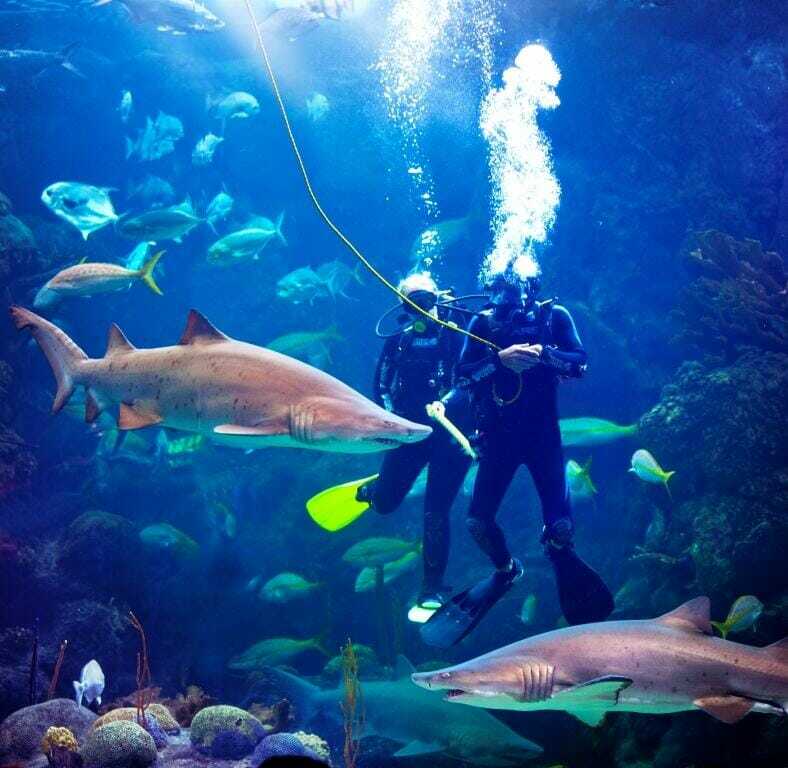 If you are feeling especially adventurous you can be a part of the Dive with Sharks program, in which you can swim in the tank with the sharks (even pop star Rihanna has taken part!). After all the aquatic adventure head over to the Caribbean Cantina bar and grill for some delicious lunch while you watch the 500,000 gallons of Coral Reef swim by you! Here's another bonus experience the aquarium offers that we always suggest to our groups: go on a 75 minute Dolphin Quest eco boat tour on the Bay Spirit II! This cruise will give you the opportunity to watch dolphins fish, feed, play, sleep, and teach their young, all from a safe respectable distance. You will find the 72-foot Catamaran right outside the outdoor Fins Bar!